It’s time for mythbusters: coffee edition. Chances are, you’ve heard that coffee is dehydrating. This notion has been floating around for ages. But given how popular (and, honestly, life-giving) coffee is, the claim warrants some investigation. Do you really need to worry that you’re dehydrating your body bit by bit with every sip of coffee? Here’s the deal. Coffee can definitely make you pee more. In news you already know, coffee contains caffeine. If you’ve ever wanted to bow down to coffee after it’s gotten you through an exhausting day, you’re aware that caffeine is a stimulant. But the caffeine in coffee can also act as a diuretic, according to the U.S. National Library of Medicine. This means it might make you pee more than you normally would. So, yeah, the bottom line is that you might need to take more bathroom trips than usual when you’re drinking a lot of coffee. How true this is can vary from person to person. Some research points to this diuretic effect being strongest in people who don’t regularly drink caffeine, then have high amounts of it. But, of course, if your morning drink is a 16-ounce iced coffee, then keep in mind that you’re drinking a ton of liquid and will clearly need to pee after that. But aside from that, coffee isn’t inherently dehydrating. Since coffee is still a liquid, its hydrating properties can basically balance out its diuretic effects, which should stave off dehydration, according to Colleen Tewksbury, Ph.D., a senior research investigator in the Perelman School of Medicine at the University of Pennsylvania. Everyone’s body handles caffeine differently, of course. 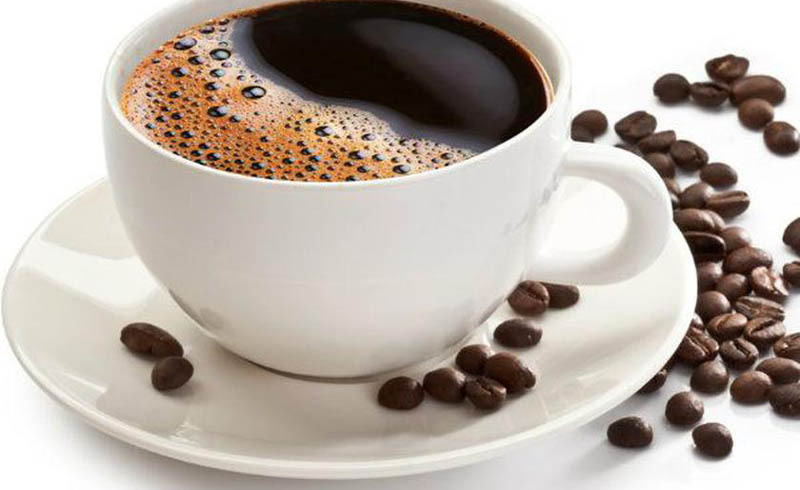 But, in general, coffee is “roughly equally hydrating as it is a diuretic,” Dana Hunnes, Ph.D., adjunct assistant professor at the UCLA Fielding School of Public Health, tells SELF. This is part of why how much water you should drink every day is such an individual thing. Fluids from beverages such as coffee are hydrating, so they count, too. It’s also worth pointing out that being dehydrated doesn’t just mean you’re a tad thirsty. It means you’ve lost enough fluids without replacing them that it’s beginning to affect your body, the Mayo Clinic says. If dehydration gets severe enough, it can eventually impede your body’s typical functions. So, while thirst is one symptom of even mild dehydration, others include a dry mouth, not peeing much, seeing dark yellow pee when you do urinate, dry and cool skin, headache, and muscle cramps, the Cleveland Clinic explains. From there, the symptoms only become more intense. There’s research to back up coffee’s lack of dehydrating powers. One study published in PLoS One had 50 healthy coffee drinkers who were biologically incapable of menstruating participate in two trials, each lasting for three days. (The researchers note that the menstrual cycle can cause fluid levels to fluctuate in a way that makes the subject harder to study.) During the trials, participants had about three and a half cups of coffee or water a day. Researchers analyzed participants’ blood and urine and found that there were “no significant differences” in how hydrated they were. Even though coffee can’t dehydrate you, having too much still isn’t great for you. 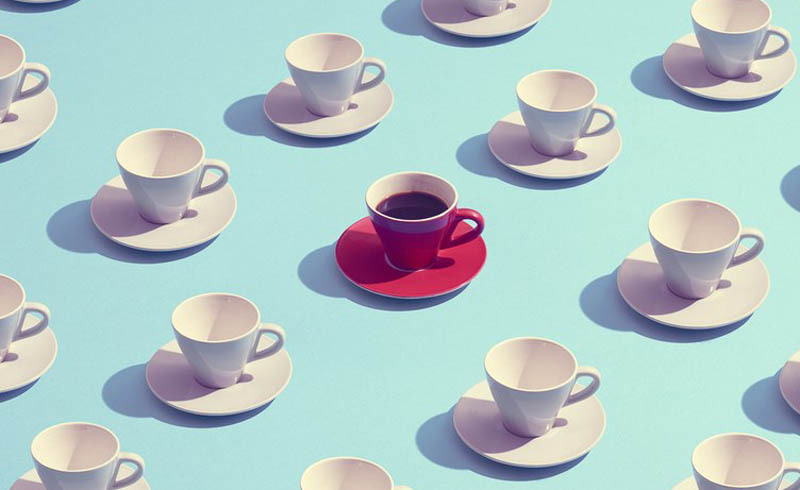 It’s best to limit your daily coffee intake to three to five 8-ounce cups a day (or up to 400 milligrams of caffeine daily), according to the United States Department of Agriculture’s Dietary Guidelines. Overdoing it on caffeine can lead to issues like headaches, trouble sleeping, a rapid heartbeat, trembling, and more. Here’s the catch: It can be a little hard to measure the actual caffeine content in different beverages accurately because it can vary. An 8-ounce serving of brewed coffee can range from around 95 to 165 milligrams of caffeine depending on the brand, type, and method of brewing, according to the Mayo Clinic. For instance, if you brew a cup of coffee using the minimum amount of coffee grounds, it’s going to be less caffeinated than if you use a heaping serving, Hunnes says. The caffeine breakdowns can vacillate for other forms of coffee, too. Decaf coffee can contain as little as 2 milligrams of caffeine per 8 brewed ounces, the Mayo Clinic says. An ounce of espresso can have up to 64 milligrams of the stuff. Something like a latte or mocha can have between 63 and 126 milligrams. You get the picture. When you look at these numbers, it’s pretty easy to see how you can go over that recommended daily caffeine limit. Many standard coffee drinks are larger than 8 ounces, for starters, and you might have a couple every day. On particularly hectic days, you might be tempted to add extra shots of espresso to your usual coffee order—then proceed to have a bunch of those. And don’t forget that coffee isn’t the only item that contains caffeine. Many teas, sodas, and types of chocolate also provide this stimulant. Whether or not it’s enough to really sway your daily caffeine intake depends on the caffeine content in these items and how much you have. FYI, there’s a pretty easy way to figure out if you’re a little dehydrated. It involves looking in the toilet bowl after you pee. If your urine is clear or light yellow, you’re golden! That’s a sign of great hydration. If it’s darker than that, consider what steps you can take to boost your hydration. Just don’t feel like you’ve got to abstain from coffee to do it. U.S. Daily News: Is Coffee Actually Dehydrating?